From what we can tell at this stage, whether or not you like the Galaxy Grand boils down to your preferences for screen size and your need for a second SIM slot. If you must have a 5 inch screen and you don't want to pay the extra premium for a flagship device or you need a large screen smartphone with two slots, then the Grand makes a strong case for itself. Keep in mind though, that size aside, the display may leave you somewhat wanting. While its image quality is not bad, it's far from top notch either. The contrast is decent if unspectacular, but more importantly, the WVGA resolution gets stretched pretty thin at this size. Samsung's original foray into the phablet realm, the Galaxy Note, offers all you'll get with the Grand (besides the dual-SIM support), and then some. 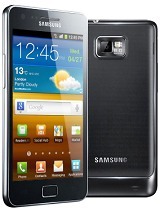 You larger, crisper Super AMOLED display of 800 x 1280 pixels resolution, which is covered with Gorilla Glass to boot. Keep in mind that the Note, even after all the price cuts, is still notably more expensive than the Galaxy Grand will be at launch. 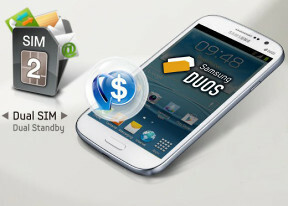 If screen size or dual-SIM support aren't deal-breakers in your book, then the Samsung Galaxy S II is an excellent alternative. It offers almost identical specs as what you'll get from the Grand, and while the screen is smaller at 4.3 inches, it is of the Super AMOLED Plus variety. Long story short, if you want an ample screen with a solid software package, which has dual-SIM support to boot, the Galaxy Grand and its expected mid-range price point should be a nice money-saving option. If you don't have all the boxes checked or you are looking for more bells and whistles, you might need to keep looking.